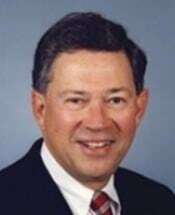 Leland J. Frankman began his career in eminent domain/condemnation law in 1966 as a Minnesota assistant attorney general, representing the Minnesota Highway Department, now known as MNDOT. He appeared before many condemnation commissions, district court juries, and the Minnesota Supreme Court. Since 1970 he has represented landowners throughout Minnesota in eminent domain cases when their property has been damaged, destroyed or taken. He was joined by his son, Harry Andrew Frankman, a graduate of the University of Minnesota Law School, in practice. Harry is also admitted to practice in Florida. The Frankmans have also practiced in the area of real estate tax reductions in the Minnesota Tax Court. Recently, Leland J. Frankman has been selected as a mediator in disputes involving MNDOT and various landowners. Leland J. Frankman has authored a number of articles in the area of eminent domain and has taught other attorneys and appraisers in the area of eminent domain for over 40 years by chairing and participating in numerous eminent domain continuing legal education courses for these professionals. Leland J. Frankman has obtained awards in cases against Minnesota condemning authorities in excess of $5 million dollars, and has litigated and settled numerous cases that resulted in recoveries for clients in the millions of dollars. In addition to the litigation against government condemning authorities, his firm currently is involved in the disputes with the CapX2020 power line cases. Many homeowners, farms, churches, businesses, etc.